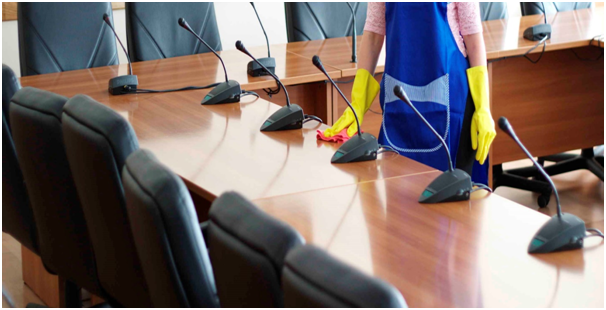 If you’ve decided it’s time to hire a cleaning service for your office premises, then that’s a great step towards improving the health and well-being of your employees and encouraging better productivity. There are some aspects of the cleaning that you’ll want to decide before hiring a company to complete the work for you. You’ll want to work out what needs doing daily, weekly and monthly. Depending on the size of your premises, some of these tasks might need completing more than once a day. By instigating some or all of the above cleaning suggestions, you’ll be helping to create a healthier and happier working environment for your staff and guests. Both customers, clients and employees would much rather spend time in a well-maintained and hygienic atmosphere. Disinfectant wipes and sprays help to reduce the spread of viruses which can move through an office environment very quickly, leading to sick leave and downtime.